Eat the World have hit upon a neat idea: cultural walking tours with frequent stops at local food outlets, so visitors can discover an area through its cuisine. 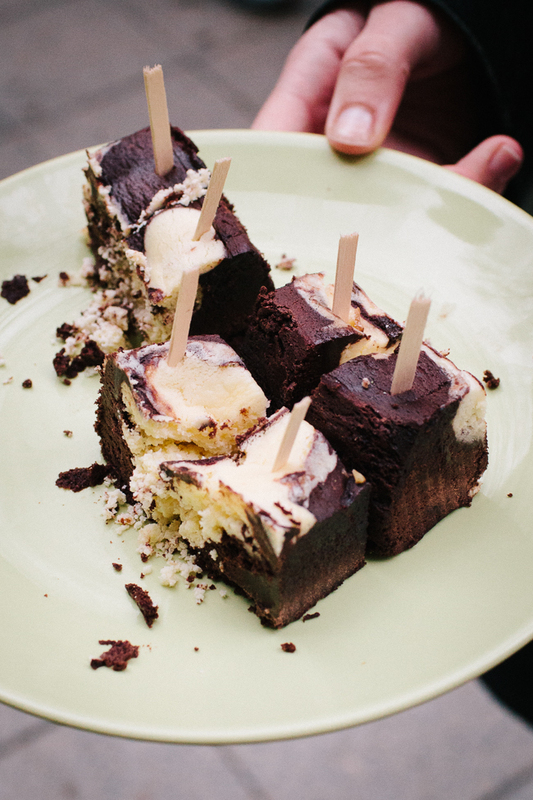 We love to eat – which anyone who’s seen our Food and Drink section or ever-expanding waistlines will know – and we love Kreuzberg, so we thought we’d join a group of tourists as they ate their way through our neighbourhood. The Eat the World Kreuzberg Tour started in our beloved Graefekiez, although luckily – and shamefully – we had never eaten in any of the places we visited before. As we walked from the Sudanese Imbiss Nil, which we’re now regulars at, to a lovely bio bakery – via an unremarkable Indian restaurant – we learned all about what apparently gets called “the Tuscany of Berlin”. We were told that much of our neighbourhood is under landmark protection, including the beautiful Admiralbrücke, which, according to our guide, is why (cringe) all the rich people live here! 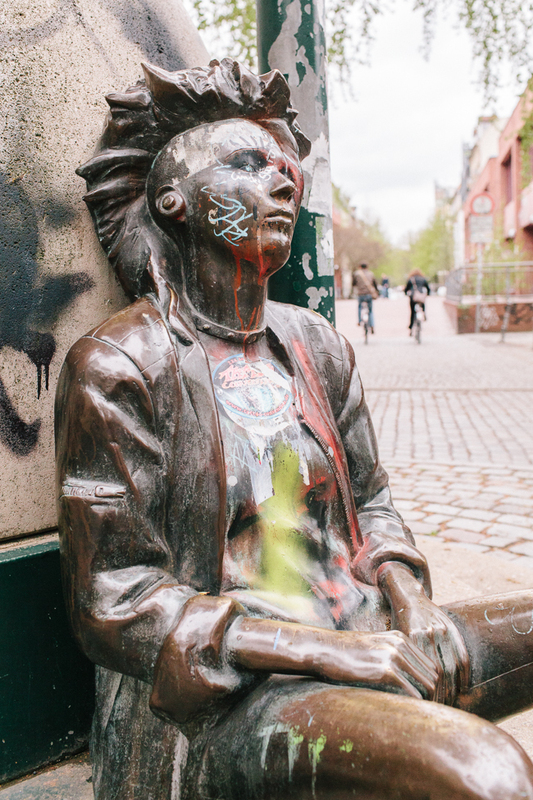 Crossing the Landwehrkanal, we passed the grand sculpture on Admiralstrasse, with punk figures making for a suitable entranceway to SO36, and sampled the freshest, tastiest börek we’ve ever had at Leylak on Kottbusser Strasse. We then stopped for great dürum and a decent slice of pizza, before walking to Oranienplatz and checking out the site of the former Luisenstadt Canal. 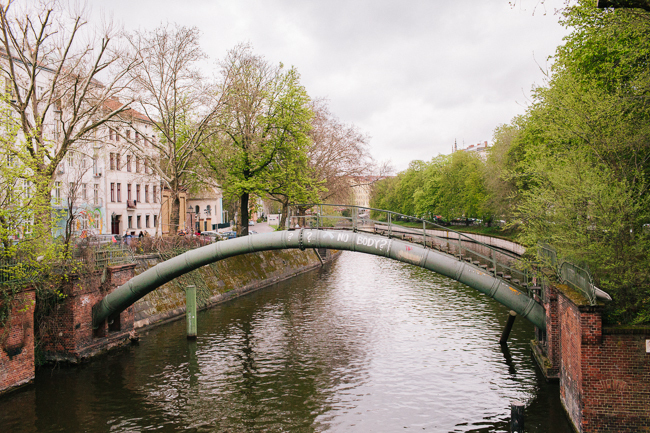 We’d never heard of this waterway before, which used to run north-south between the River Spree and the Landwehrkanal, but we were more excited about getting to Küchenkaiser around the corner, where delicious cake has been baked since 1866! Overall, we had a very pleasant few hours with our nice, knowledgable Eat the World guide. The Kreuzberg tour showcased the range of food on offer in this colourful neighbourhood, although not necessarily the best it has to offer. As we live locally, we’re probably spoiled for choice, and a little picky, but we were happy to try out some new places (especially Nil and Leylak!) while learning a lot more about our immediate area. 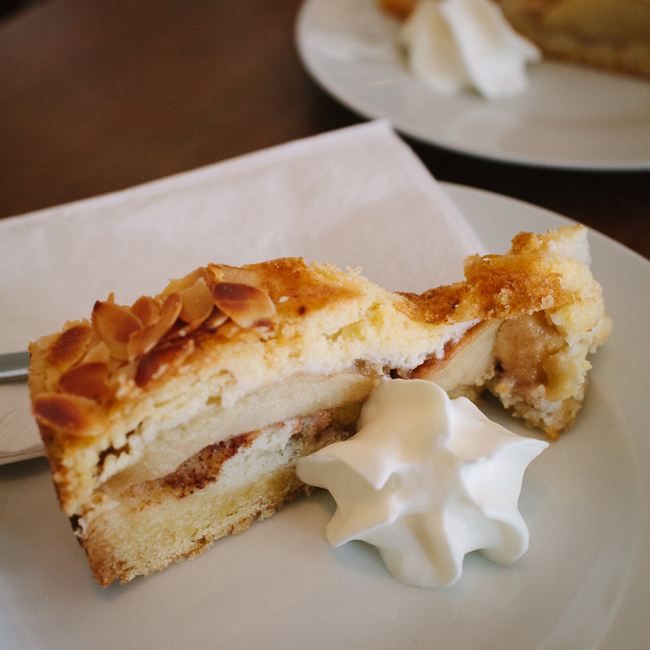 Not necessarily for the most demanding of foodies, the Eat the World Kreuzberg tour is a good introduction to Berlin’s most (in)famous ‘hood, as well as a tasty way to spend a day!